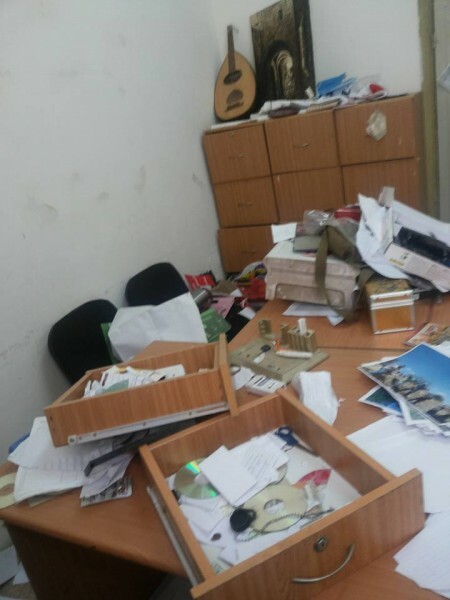 On the night of the 10th of December, the Israeli forces raided the Palestinian cultural Centre Tanweer, near the old city of Nablus, and stole hardwares, wifi keys and a laptop after searching the whole centre. The organisation lost all of their data from the raid. 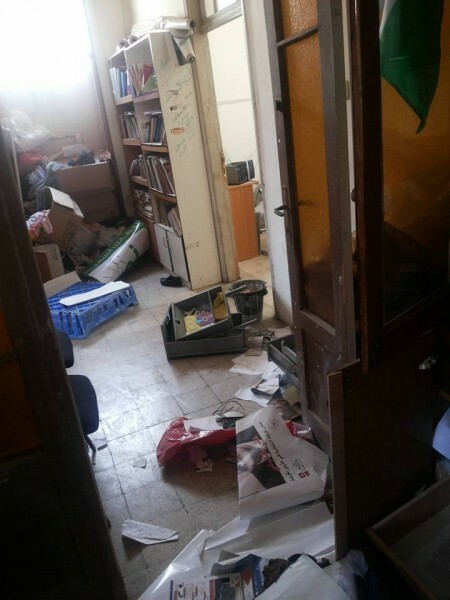 When the volunteers arrived at 11 am the next day, they found the door broken and everything spread on the floor. 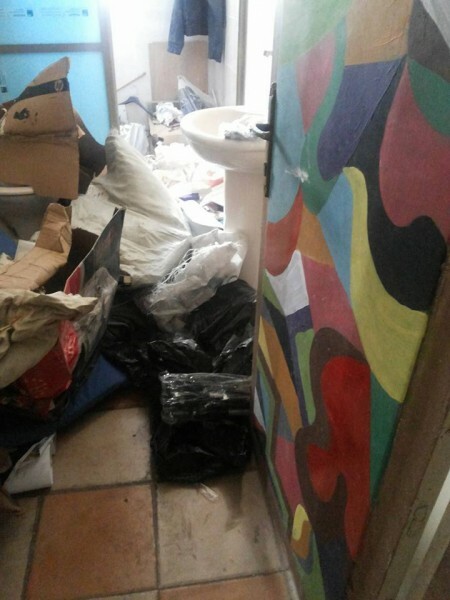 Volunteers from the centre have been working on getting the place back into shape since then, but much of the furniture and computer equipment have been severely damaged. 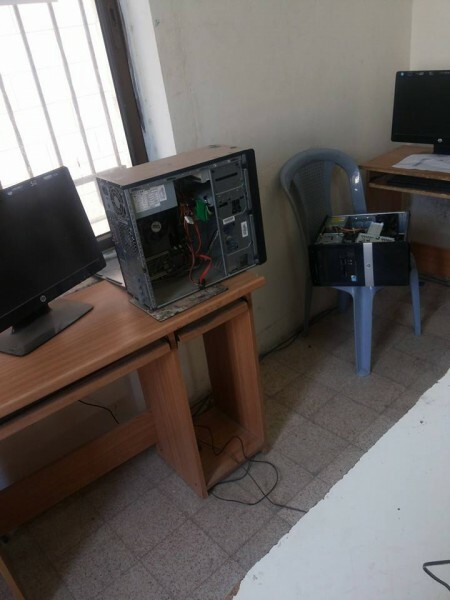 The Rachel Corrie computer room, established in 2011, was as well raided and the computers are at the moment unusable. 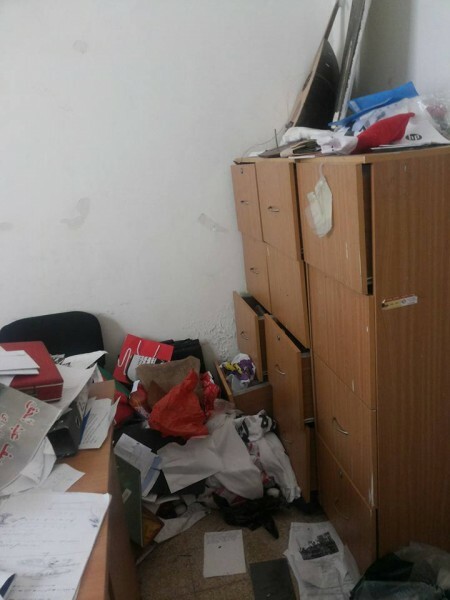 The team is thinking of launching a fundraising campaign to help replace the lost equipment. 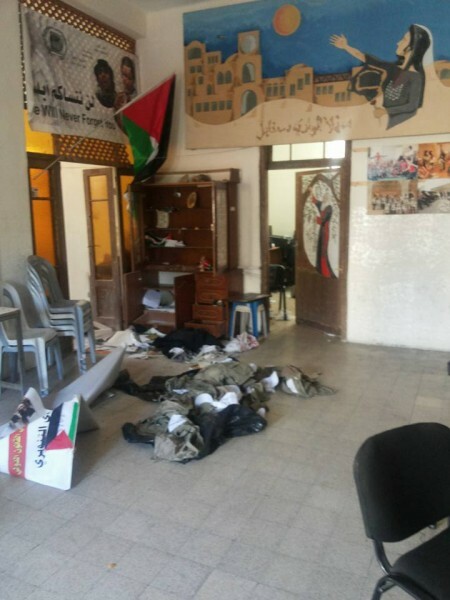 The volunteers’ coordinator has been arrested around three weeks ago during a night raid, as well as about seven of the organisation’s volunteers. 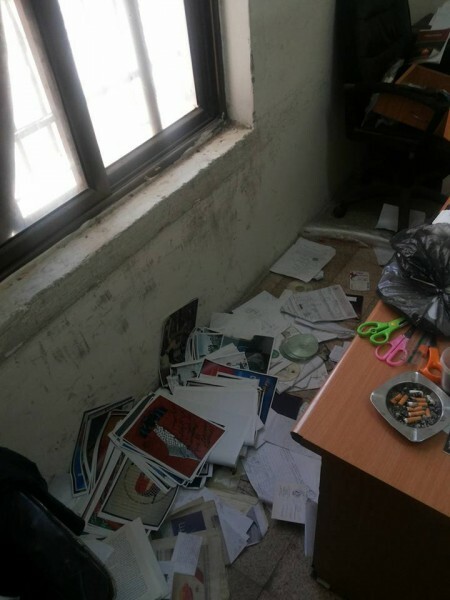 Tanweer is not involved in any political activism; it’s a cultural center working to educate the youth from the old city of Nablus and therefore the volunteers don’t understand the reason for this targeting of their work. 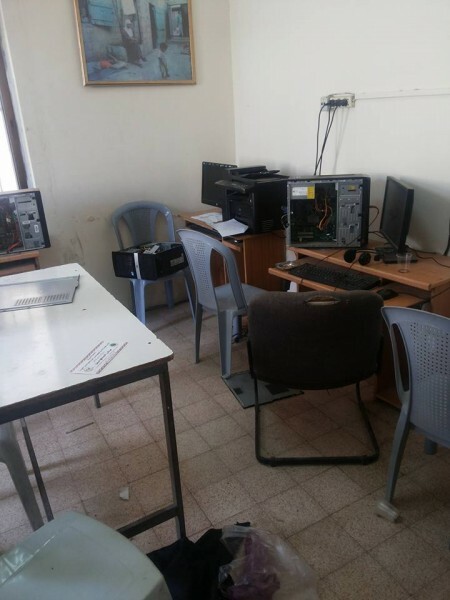 The coordinators, along with Palestinian volunteers, organise activities, support classes, computer courses and any cultural events. 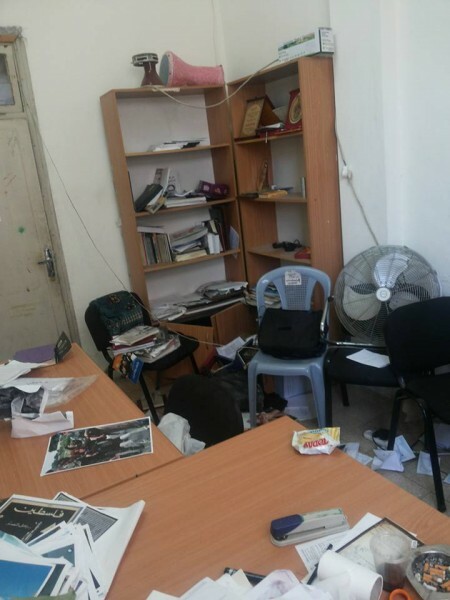 “You attack a cultural center, it means that you don’t want people to be enlightened”, said Mustafa Azizi, one of the volunteers. 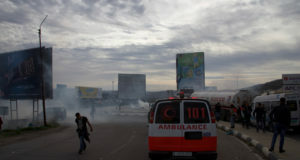 Night raid in Tanweer Center in Nablus. 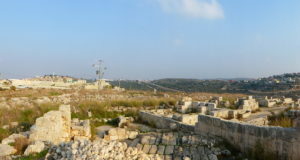 Photo credit : Ziad Ameireh.